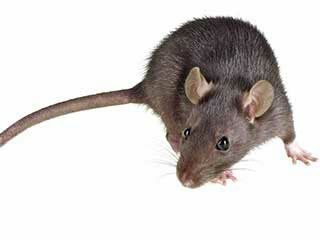 Rodents can not only spread disease, but can also damage your property. While you can get rid of them with DIY methods, there is no guarantee these pests will stay away for good. That’s where our team comes in. We’ve been dealing with rodents for so long that we can easily find all their entry points, no matter how big or small they may be! Not only are mice and rats good climbers, but can also squeeze through openings that are the size of a dime. Don’t worry; we know exactly where to look and what to look for. Once we’ve inspected your home and discovered all the possible entryways, we’ll get right to sealing them up. We’ll make sure to cover your vents and chimneys with a fine steel mesh they can’t gnaw through and use that same mesh for the cracks in your exterior walls before plastering. We won’t forget the holes around plumbing, electrical and gas lines, etc. Our technicians have a tried and true solution for each opening! All those repairs meant to keep rodents out will also make the rodents you do have in your home, well, stay inside. And since rodents are prolific breeders, they will multiply very quickly. Rest assured we can help with this as well. Our team can recognize rodent runways, set traps at all the right spots, and safely remove them from your home. Last but not least, our professionals are always willing to share their knowledge with our customers. Take advantage of the information they give you and change the habits that kept inviting these vermin into your home and backyard. If you already have a rodent infestation on your hands or simply want to make sure it doesn’t happen to you, call Duct & Attic Cleaning Experts and schedule a visit. Can you give me some useful mice and rat proofing tips? The best strategy for rodent proofing your home is to make it less appealing and inaccessible to mice and rats that are looking for the right environment to build a nest in. Start by eliminating appealing sources of food - store all grains, flours, seeds, cereal and pet food in out of reach airtight containers; don’t leave crumbs on the table or in the sink overnight; and keep the trash outside in a locked bin. Next – don’t make nest-building material such as fabric, paper or bits of insulation, accessible. Block all potential points of access by sealing all gaps in the foundation, the roof and the attic, paying special attention to spaces around pipes and cables, and ensure all doors have a metal door brush. Don’t forget to trim the trees and bushes around your property, cutting back branches that are too close to the roof. What can I use as a rodent barrier hardware cloth? Hardware cloth is a wire mesh with ¼“ to 1” square openings, made of steel, stainless steel or galvanized metal, that rodents cannot chew through. Because mice can sneak through very small gaps, many experts recommend using the ¼” wire mesh, surrounded by spray foam insulation to block mice access, especially around sink pipes. It is also recommended to use the heavy ¼” mesh, stainless steel hardware cloth to cover floor drains, foundation vents, and even heating registers when necessary.